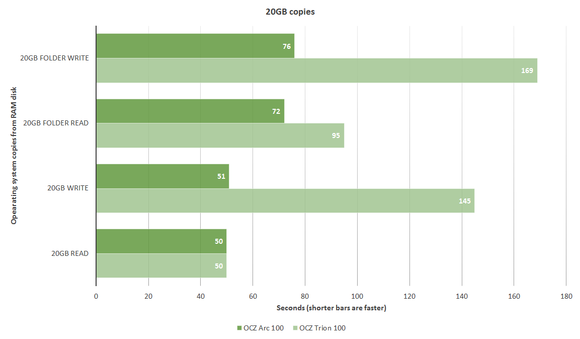 OCZ's older Arc 100 beats the company's new Trion 100 handily. Though it’s not a top-tier speed burner, you’d be hard pressed to find better value in a 2.5-inch, 7mm, SATA 6Gbps SSD than OCZ’s Arc 100. At least for the short term. It currently sells for a mere 36 cents per gigabyte and features OCZ’s solid-performing Barefoot 3 M10 controller and 19nm MLC NAND. It’s even good-looking. In fact, my only complaint about the Arc 100 as a piece of hardware is that it’s a bit heavy. 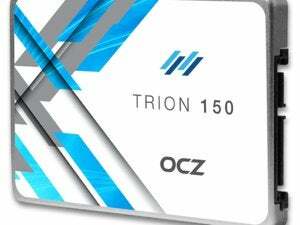 Though I never mentioned it in my review of it (I didn’t want people to construe that as positive buying advice), OCZ’s other budget drive, the under-performing Trion, is exceptionally light. Heavy is a negative if you’re using the Arc 100 in a laptop. For a desktop? Heavy means reassuringly solid, and well-constructed. That’s life. 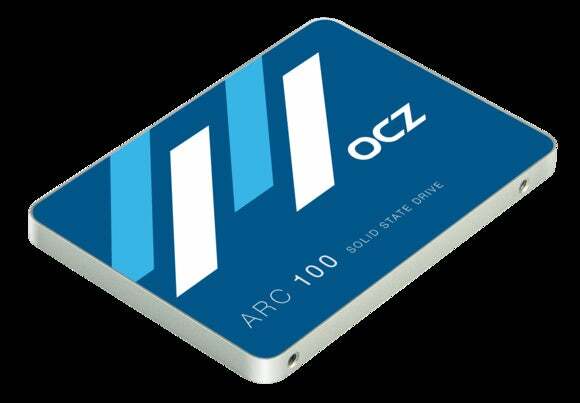 The OCZ Arc 100 SSD is am all-around solid performer. Unlike its Trion cousin, the Arc 100 continues writing at roughly the same speed no matter how much data you throw at it. It wrote our 20GB set of files and folders in 76 seconds (263MBps), and read them in 72 seconds (278MBps). It was predictably faster writing a single 20GB file in 51 seconds, and reading it in 50 seconds—392MBps and 400MBps respectively. When the data set grew to 20GB, the Arc 100 firmly established itself as OCZ’s better budget SSD. AS SSD rated the drive as reading sequentially at 455.99 MBps and writing at 432.20 MBps in its 1GB test, and there was little fall-off in the 10GB test, where reading proceeded at 455.22 MBps and writing at 408.26 MBps. 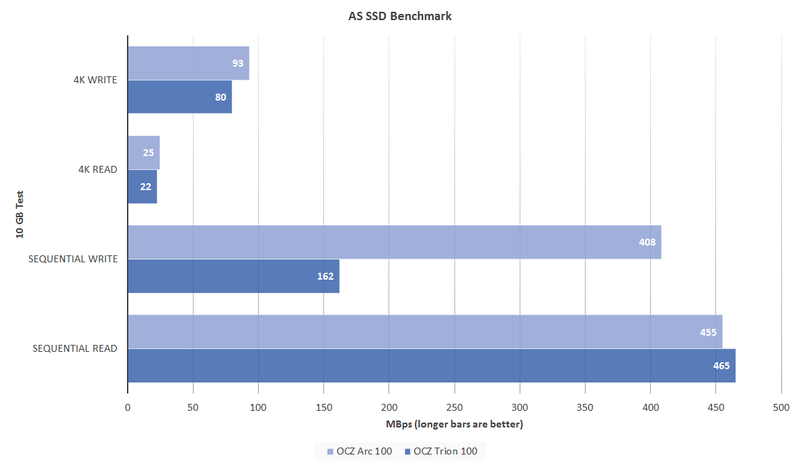 The aforementioned OCZ Trion dropped off to a lowly 160MBps in that last test. CrystalDiskMark had the Arc 100 reading at 387MBps and writing at 453MBps. All those numbers boil down to middle-of-the-pack reading, with slightly above-average writing. Though it’s a tad slower in the other three tests, the Arc 100 suffers none of the Trion’s difficulties with larger data sets. Other than its being a tad hefty, the only possible fly in the Arc 100 ointment is the 20GB-a-day, three-year warranty—the reason for the “short term” comment up front. That works out to roughly 20TBW (TeraBytes Written) which is a low figure for any SSD, but especially a 480GB model. I’m not sure why OCZ has become obscure and sparing with its warranties, as the company’s drives have generally been among the least problematic and best supported I’ve used. Performance- and price-wise, the Arc 100 compares favorably with any brand-name budget 2.5-inch SSD on the market. It also shows what the OCZ was capable of before Toshiba started mucking about with it.